For some of you, school just started this week. For us, school has been going for what seems like an eternity already. And it’s only been 2 weeks. Sigh. It’s going to be a long year. So how are you doing with school? 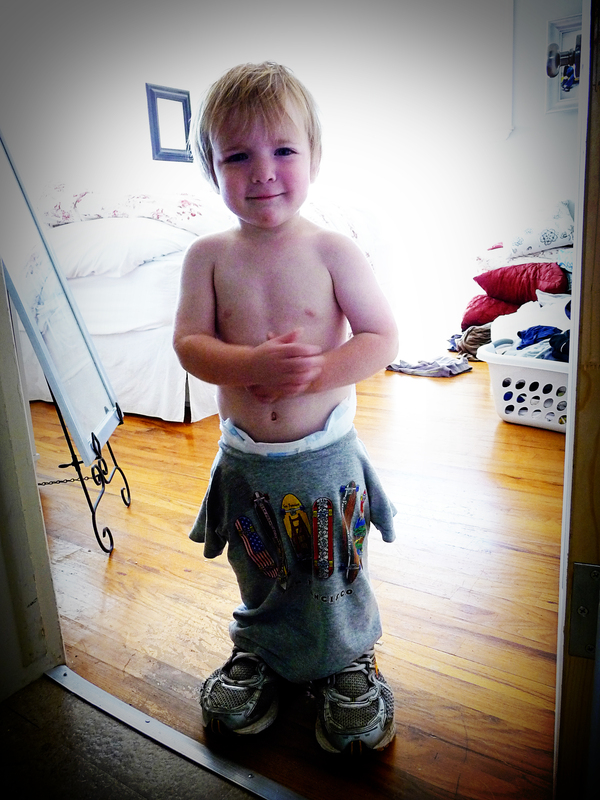 How are your mornings getting the kids out the door? Are they calm, peaceful, cheerful, enjoyable, perfect mornings? Yeah – mine aren’t either. The 1st day of school was magical. My kids jumped out of bed, got dressed in their laid-out-the-night-before clothes, made their beds, put their pj’s away and excitedly ran upstairs. Once upstairs, they made their own lunches, did their dishes, waited for me to do their hair and then sat down for breakfast. After breakfast, they put their dishes in the dishwasher, did their chores and even practiced the piano. Oh, and did I mention that they didn’t fight once?! 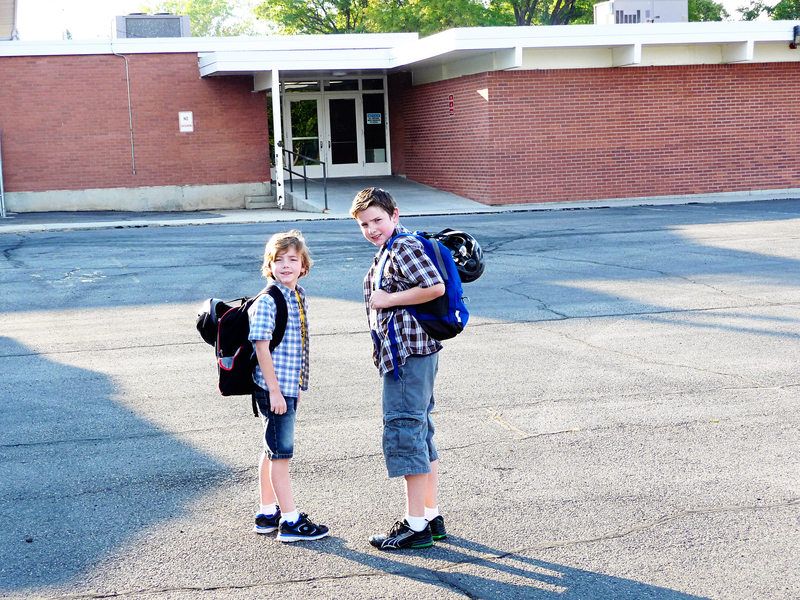 My two oldest went off to Junior High and High School – happy. 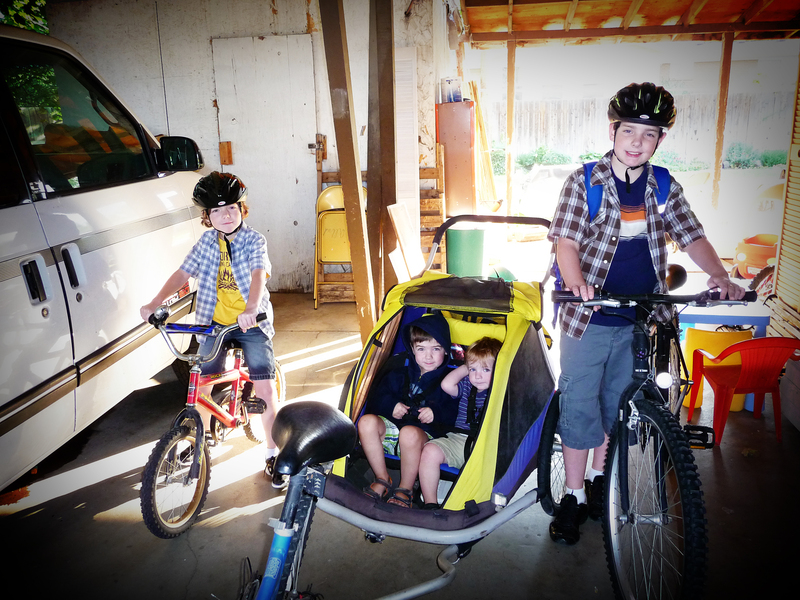 Then we rode bikes to school, leaving in plenty of time so we didn’t feel rushed. We got to school before the 1st bell rang and I was able to take some cute pictures of the kids as they walked into school. Then I peacefully rode home, excited about how the morning went. 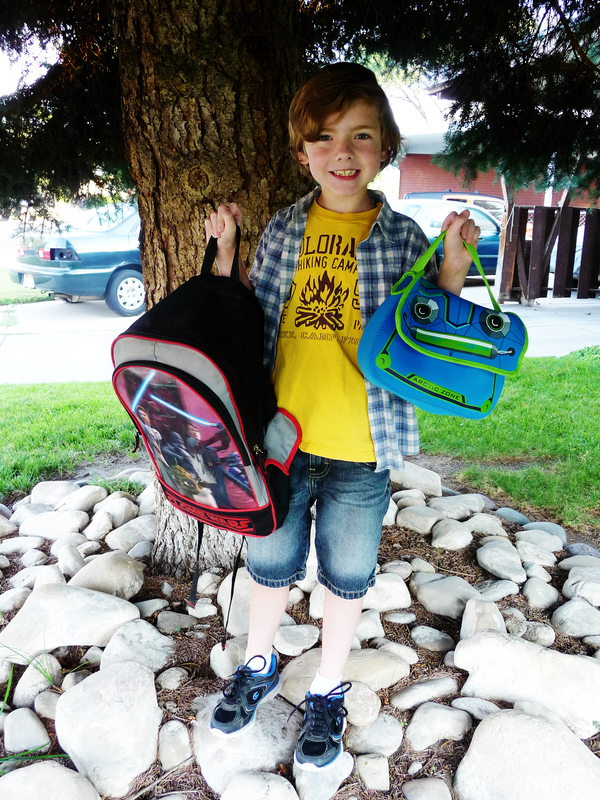 The 2nd day of school was pretty much the polar opposite of the 1st day. I had to drag them out of bed, they sluggishly got dressed, left their pj’s on the floor, had to be reminded to make their beds and slowly went upstairs. Once upstairs, it was as if they forgot what they were supposed to be doing and had to be reminded of everything. Even Luke didn’t remember that shirts go on the top part of your body and that those tennis shoes weren’t his. We weren’t late for school, but we were a little rushed. And they fought. Oh yes – they fought. And that pretty much sums up what it’s been like every day since then. So, my question for you is this: what are you doing to help make the mornings run a little smoother? One of my tips is a super simple thing. But it does help. At least a little. I set the table the night before. 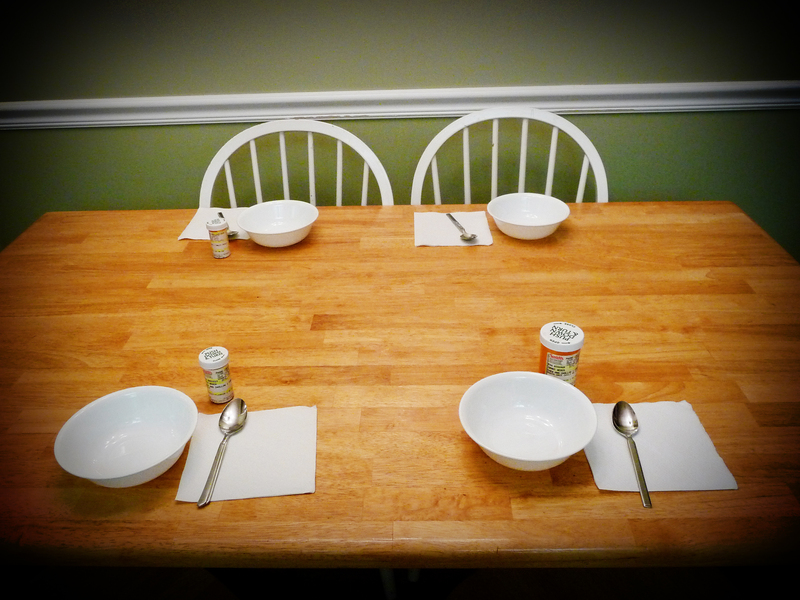 My kids prefer cereal for breakfast, so it’s easy to set up for that. I have four children in school right now. My younger ones usually eat after they oldest four are in school and I usually eat with the younger ones. My husband eats breakfast before any of the kids are up so I only set places for the four that are in school. There is a lot more that can be done and more that I already do. But I’d love to hear what you do or don’t do to help the mornings be more magical. Good luck with your mornings! This entry was posted in Back to school, Organizing and tagged back to school, chores, dishes, prepared, setting the table. Bookmark the permalink. 4 Responses to how are you doing? I’m having a hard time getting my 1st grader going in the morning. He’s always been a slow poke. If everyone knows where their shoes, backpacks, etc, are the night before, it makes getting out the door a little bit easier. My boys fight about everything so I’m grateful for the six hour break during the day! Sarah – I never told you that you were the first person to respond, so you get to pick the next topic I discuss! Let me know what you want to talk about. I agree! When their “stuff” is ready the night before (backpacks, books, clothes, shoes, etc.) it does make the mornings nicer. Suggestion for the fighting (although it’s not always possible): separate the boys. Have one of them getting dressed while the other is in the bathroom getting his hair done. Then when one is upstairs packing his lunch, the other one can be downstairs making his bed, etc. Sometimes this works for me, other times it doesn’t. But it might be worth a try. My mornings haven’t been so bad…most mornings. But I agree with the getting things ready the night before. Here’s a question, my problem is in the car. I swear there is going to be a death before we get to school…how do you keep them from killing each other in the car?